The familiar crispy, cheesy crab rangoons have been made more special with the addition of bacon. Turning them into flower-like dumplings kicks it up several more notches. All that with five ingredients. 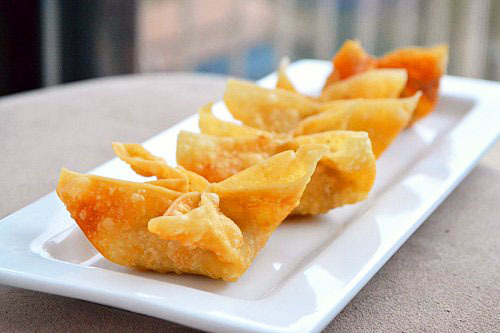 Find the recipe for crispy bacon and onion wonton flowers at Just Putzing Around the Kitchen.